Editor’s note: Pete Flint founded Trulia in 2005 and was the company’s Chairman and CEO before it merged with Zillow in 2014 to create the largest online real estate portal company. 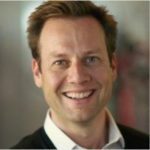 In 2016 he joined venture capital firm NFX where he is Managing Partner and has spearheaded continued investments into real estate tech. Read the full article below and at NFX.com. Real estate touches everything we do. It’s the economics of the physical space — it literally shapes our lives by defining the environment in which we live and do business. 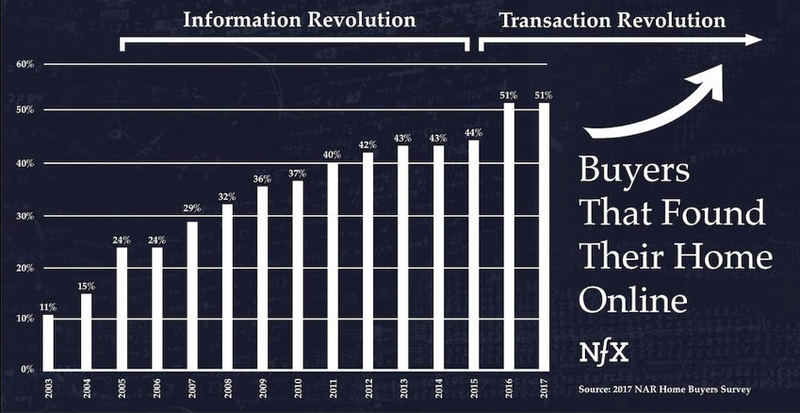 Tech has done a lot in the past few decades to revolutionize flows of information (Google), communication (Facebook, Apple), goods (Amazon), capital (PayPal, Venmo), and transport (Lyft, Uber). But real estate is larger than all of those categories combined, and the transformation that real estate tech could bring to our lives is larger, and more profound, than you might think. Despite real estate being — by far — the largest asset class in the world, most business categories surrounding it are still in the early stages of tech adoption. Even still, there have been more billion-dollar real estate tech companies founded in the past 15 years than almost any consumer services category (behind e-commerce). Generational trends and shifting consumer behaviors are creating an opportunity for a new wave of real estate tech startups with high growth potentials. One of our goals at NFX is to enable these startups to bring profound disruptive change to this important market. Real estate is valued globally at around $228 trillion, a figure that exceeds the global value of equities and securitized debt by fully $79 trillion. In 2017, U.S. residential real estate alone was worth $31.8 trillion, and the value of home sales in 2017 totaled about $1.77 trillion. Adding what we’ve estimated to be $15 trillion in total U.S. commercial real estate assets and a $485 billion annual U.S. rental market, it’s apparent that land is still synonymous with wealth in many ways. The infusion of debt capital that has poured into the industry in recent years marks a historic inflection point for real estate. Since 2009, institutional investment in real estate has doubled from $400 billion to $800 billion. This remarkable increase in debt capital has enabled the rise of new business models that simply wouldn’t be possible without access to this surplus of debt financing. The decade between roughly 2005 and 2015 saw the first phase of tech adoption in the homebuying process, as homebuyers increasingly began their home searches online. After 2005, with the launch of consumer-oriented online real estate products Trulia and Zillow, comprehensive, easy-to-access online property information became available to the public for the first time. Trulia and Zillow changed real estate transactions by empowering the consumer with information as they began searching for or listing homes for sale. This put consumers firmly in the driving seat. Since 2015, the majority of homebuyers initialize and find their home online, and then transition to a complicated and largely analog transaction process. This will change. With consumers growing accustomed to more control, emboldened with greater access to information and frustrated by the slow pace of change in the real estate industry (compared to other industries), a new set of companies have emerged to improve the consumer transaction experience. The current transaction process is enormously costly (costing tens of thousands of dollars including commission, title costs and other fees). It’s also time-consuming: On average, it takes 4.3 months to buy a home and 2.8 months to sell. The resulting illiquidity of the asset class and the frustration consumers experience create a clear opportunity for innovation. Startups such as NFX portfolio company Ribbon (which partners with agents on the homebuying side) and Opendoor (on the homeselling side) have already begun the transformation, and more companies will inevitably emerge as the nature of the real estate transaction continues to change. But the field remains largely open. The way consumers perceive the role of capital providers (mortgages) and brokers will increasingly blur, and we expect a series of successful, distinct brands with differentiated product offerings servicing a variety of segments of the market. We also expect to see a range of startups that enable these real estate brands (both traditional and digital) to deliver on their value proposition. Given the increasing verticalization and complexity of these platforms, startups will emerge that specialize in certain areas — data, financing, operations, etc. — and will find success within their niche. NFX investment Radius Agent, a market network for real estate professionals that helps them to grow their business and a platform for consumers to find the best agent for them, is one example. Real estate leasing, a.k.a. the rental market, represents another enormous opportunity for tech disruption because there’s an increasing mismatch between supply (the physical housing inventory) and demand (rapidly changing consumer preferences). On the supply side, housing inventory is aging. 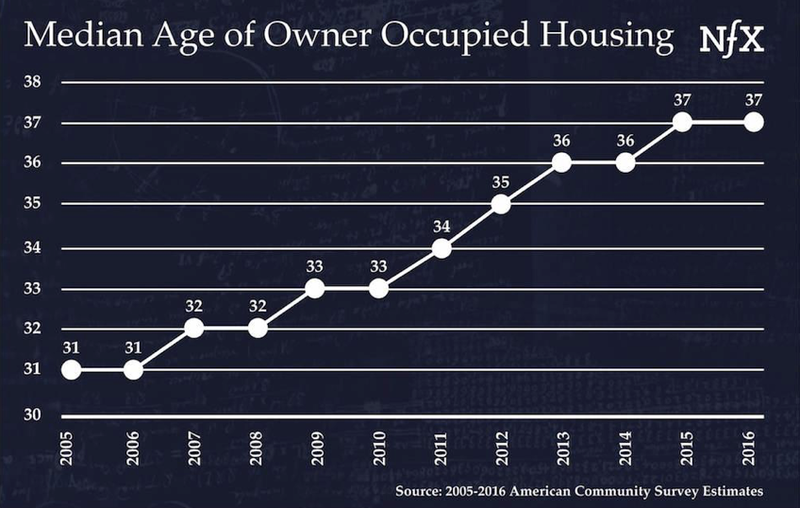 The median age of owner-occupied housing rose from 31 years old in 2005 to 37 years old in 2015. The rate of construction of new homes is slowing, leaving housing stock static. Only 19 percent of owner-occupied homes in the U.S. were built after 2000, with the majority (53 percent) built before 1980. On the demand side, consumer behavior is shifting rapidly. Since 1970, the median age at first marriage in the U.S. has risen from 23 to 29 for men and 21 to 27 for women. 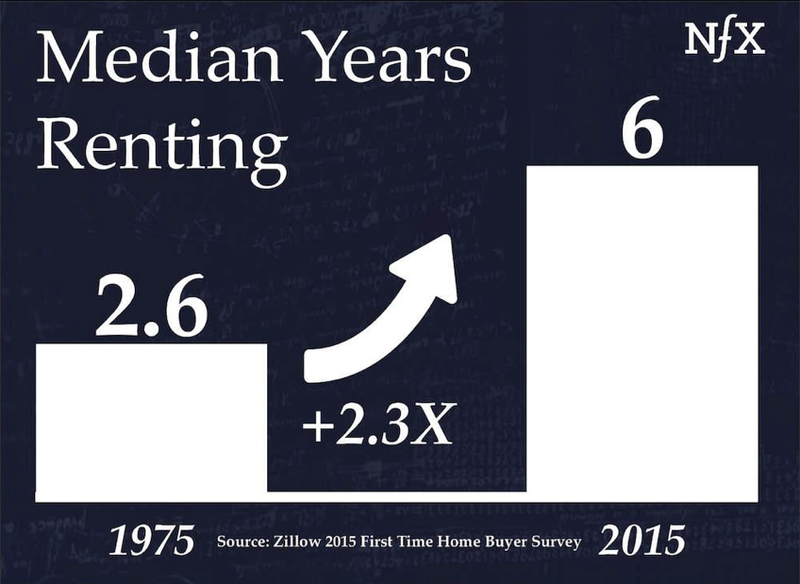 There has been a corresponding rise in how long people rent before first buying a home, which reached a median of six years in 2015 — up from 2.6 years in the 1970s. Demand for rent is rising with almost 43 million U.S. households renting in 2016. Of those, more than 1 in 3 spend at least 30 percent of their pretax income on rent — up from fewer than 1 in 5 in 2001. In addition to this, rent burden is increasingly affecting young people. If tech innovation typically happens with young people first and young people’s single biggest expense is rent, then the residential rental space is potentially the mother of all markets. There is a large supply of aging single-family homes, purpose-built for permanent residence by married households, and yet there is a large and fast-growing demand for different living accommodations. This creates an opportunity for a new wave of service providers to come in and repurpose the existing supply and add in additional services to meet the new demand. This has already started to happen. Airbnb is clearly a massive player in the broader ecosystem, although it’s primarily a travel company. Other companies such as Lyric (an NFX portfolio company), Sonder and Pillow have followed suit with a greater focus on vertically integrated short-term rentals. Zeus, another NFX portfolio company, is applying a similar strategy to corporate housing, while co-living startups like HubHaus and Common are operating in long-term rentals with value-added services. New companies providing alternative living options will doubtlessly continue to arise in the $485 billion rental market. We expect a series of companies to emerge with distinct products, brands and value propositions and that many of these companies will do quite well. Again, these businesses are operationally complex, and the most successful ones will be able to avoid the trap of just building a lease arbitrage business that is hard to scale and cyclically fragile but are able to build in deep competitive moats, powerful network effects and unique defensibilities. The expense and hassle of designing, building and maintaining this enormous asset class represents the third major opportunity for disruption in real estate. On the residential side, we are starting to see elements of this in the ways that property management and maintenance are changing, as consumers turn to online service providers over traditional contractors and property managers. Tech-enabled solutions to home decoration and interior design (e.g. Houzz) are also rising, as are new ownership models for furniture (e.g. Feather) and other ancillary services for the growing number of temporary living arrangements. Home construction and maintenance will also undergo extensive disruption. Americans spend $340 billion a year on home improvement and remodeling, with the HVAC market projected to reach $251 billion by 2023. Annual construction in the U.S. is valued at $1.3 trillion. Meanwhile, traditional incumbents still have a majority share of this very massive market. Home Depot and Lowe’s annual sales are approximately $170 billion. Most construction is still done via traditional contractors and construction companies, although the rise of 3D printing and off-site construction by companies like Katerra is beginning to change this. New catalysts will eventually upend the construction market completely, creating another new wave of cutting-edge real estate tech startups. AI, image recognition and robotics will enable a huge reduction in the capital and time costs of construction in the medium-to-long term and the ripple effects of this will be felt throughout the entire real estate industry. Moving forward, the rise of these technologies and the proliferation of autonomous vehicles, drone or robotic delivery, decentralized workspaces and other macro trends are likely to lead to a complete transformation in how we utilize the spaces where we live and work. U.S. real estate assets only account for about 14 percent of the estimated global market. New tech-enabled real estate concepts born in the U.S. and elsewhere will no doubt be exported to international markets, where many of the same successes could be replicated and localized, region by region. The process of international expansion will be similar to what we saw with previous waves of tech that upended consumer service categories. Typically the expansion originates in the U.S. then moves abroad, with international variants of Google, Amazon and Uber arising to dominate local markets and create enormous value. With real estate, however, we expect more regional winners: Real estate law differs widely creating unique local markets. This market fragmentation will limit the advantage for international incumbents, opening up a clear opportunity for local startups. The opportunity for tech to move into commercial real estate (CRE) is enormous and largely untapped, both in supply and data. Some existing CRE tech companies are focusing on data assets (comps, floor plans and other property characteristics), others are working on transactions, and yet others still are pioneering shared office space (e.g. WeWork). Some areas of this industry have experienced more digitization than others, but we expect to see a number of billion-dollar companies in CRE tech within the next 10 years. The low volume of real estate transactions makes them better suited for blockchain technology over other higher volume transactions (e.g. currency). The high analog costs, like title insurance, associated with real estate transaction and ownership could be undercut with the use of an incorruptible public digital ledger. The challenge for startups working in this space will be finding a way to build consumer trust and industry information, without which products aren’t viable. We are on the cusp of a long-term transportation revolution, which will change how we think about roads, cars and garages. Car ownership is expected to decline, physical space dedicated to parking will be transformed. The secondary impact of the electrification and automation of transport creates opportunities for startups to shape our homes, commutes and lives. Changing consumer expectations, increased access to debt financing, emerging technologies and lifestyle shifts are converging to upend the real estate industry. Traditional homes and offices will be caught up in the change, and everything — from the way they’re built, to the way they’re sold, to ownership models — will be revolutionized. Real estate tech is building the future. Pete Flint spoke on this very topic at Capital Connect, a portion of Inman Connect New York’s 2018 programming. Watch the full video below. Pete is the Founder of Trulia and a Managing Partner at NFX, a seed and series A venture firm based in San Francisco.